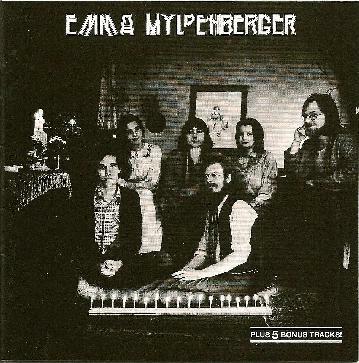 Exploding from the late 70’s the West coast of Germany’s folk scene, Emma Mildenberger are a must for anyone into the psyche folk sound of that era. There are definite hints of a jazz folk music on here in comparison top their second album Tour de Trance, which consisted mainly of a more gypsy styled German folk music. It is a purist folk music in reality, which has in places a very strong medieval influence. In others it is cinematic film score sounding, very grand and vibrant, with a hint of Jason and the Argonauts or Clash of the Titans about the sound. It is rather old world, when the world was full of mysteries and enigmas, and the ambience of the music on this, their first album, captures that magical quality perfectly. The influences seem to run far and wide as I hear many cultures in the music, all of which are European, ranging from German folk music through Bulgarian traditional polka’s, to gypsy music and laments from Ireland. All of which, by the way, are executed with excellent performances from all musicians involved. Also it is totally sang in the German language. There are also a number of bonus tracks on here that are live, and also excellent. I really like this band the more that I hear of them.